An acting troupe in pre-war Deventer, Holland. 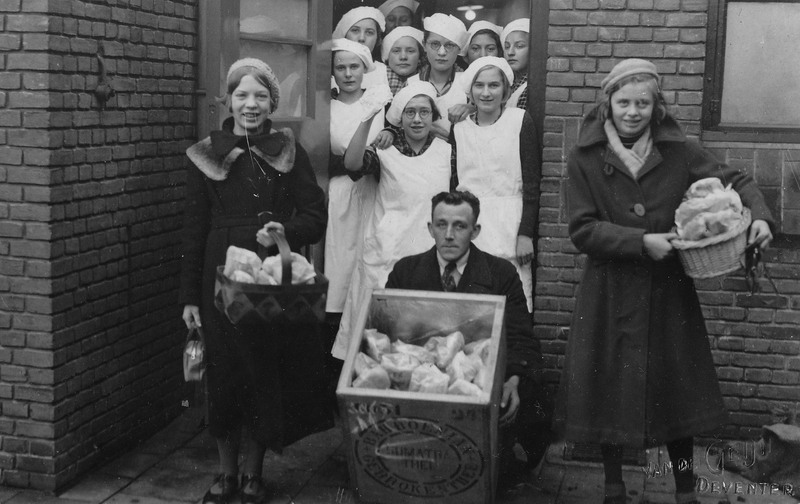 On the far right, in the gray coat and holding the basket, is my mother, Toos. As for the play itself, I have no idea, but perhaps the urge to be creative was passed from mother to son. This entry was posted in Photography and tagged acting, art, photo, theatre. Bookmark the permalink.